The MCE Protein A/G Magnetic Beads are typically used for isolating antibodies from serum, cell culture supernatant or ascites and for immunoprecipitation and co-immunoprecipitation of antigens from cell or tissue extracts. Protein A/G Magnetic Beads contain a recombinant Protein A/G that combines the IgG binding domains of both Protein A and Protein G.
During immunoprecipitation, only a small amount of magnetic beads are needed, and the non-specific binding is low. • Convenient and time saving. • Antibody binding capacity up to 0.5-0.8 mg/mL. • Stable, one bottle solution. • Mol Ther Nucleic Acids . 2018 Sep 7;12:1-11. • Cytokine . 2019 Apr 2;119:175-181. • Pathog Dis . 2019 Feb 11. • Microb Pathog . 2018 Dec 28. pii: S0882-4010(18)31931-4. • Arch Oral Biol . 2019 Mar. Stored at 4°C, and is stable for up to 2 years. Do not centrifuge, dry or freeze the magnetic beads. 1.1 Resuspend the Magnetic Beads in the vial (tilt and rotate for 2 minutes or gently pipette for 10 times). 1.2 Transfer 25-50 μL of Protein A/G Magnetic Beads into a 1.5 mL tube (Transfer amount may be adjusted as required). 1.3 Add 400 μL of binding/wash buffer to the beads and gently pipette to mix. Place the tube into a magnetic stand to collect the beads against the side of the tube (Hereinafter referred to as magnetic separation). Remove and discard the supernatant. Repeat this step for 2 times. 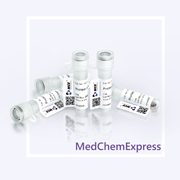 2.1 Dilute antibody (Ab) to the final concentration of 5-50 μg/mL with binding/wash buffer. The optimal amount of Ab may be adjusted as required. 2.2 Add 400 μL of diluted Ab to the Protein A/G Magnetic Beads. Rotate tube for 30 minutes at room temperature or 2 hours at 4°C. 2.3 Perform magnetic separation. Transfer the supernatant into a new tube for further analysis, if desired. The supernatant is the non-binding fraction. 2.4 Add 400 μL of binding/wash buffer to the beads and gently pipette to mix. Place the tube into a magnetic stand to collect the beads against the side of the tube. Remove and discard the supernatant. Repeat this step for 4 times. 3.1 Remove the tubes from the magnetic separator and add your sample containing the antigen (Ag) (typically 5-50 μg in 400 μL binding/wash buffer) and gently pipette to resuspend the Protein A/G Magnetic Beads-Ab complex. 3.2 Incubate with rotation for 30 minutes at room temperature or 2 hours at 4°C to allow Ag to bind to the Protein A/G Magnetic Beads-Ab complex. 3.3 Perform magnetic separation. Remove and discard the supernatant. 3.4 Wash the Magbeads-Ab-Ag complex 5 times using 400 μL binding/wash buffer for each wash. Perform magnetic separation between each wash, remove supernatant and resuspend by gentle pipetting. 3.5 Resuspend the Protein A/G Magnetic Beads-Ab-Ag complex in 400 μL binding/wash buffer and transfer the bead suspension into a clean tube. This is recommended to avoid co-elution of the proteins bound to the tube wall. This is a non-denaturation elution method. 4.1 Perform magnetic separation and remove the supernatant. Add 400 μL of binding/wash buffer into the tube and rotate for 5 minutes. Perform magnetic separation for 1 minute and remove the supernatant. Then add 25-50 μL elution buffer into the tube with magnetic beads-Ab-Ag complex, rotate for 5 minutes. 4.2 Perform magnetic separation, collect the supernatant. 4.3 The final solution can be used as samples for denaturing SDS-PAGE. Or the elution can be adjusted to neutral pH with neutralization buffer immediately and used for further analysis.